HOW TATTOOS WORK – IS THERE A WAY TO PERMANENTLY ERASE THEM? 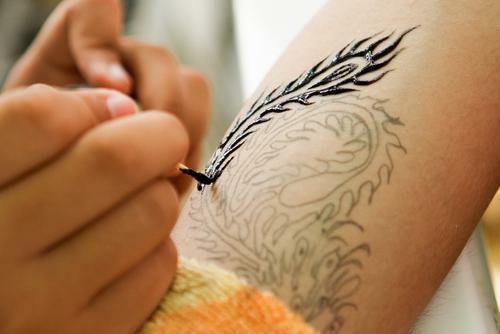 Shore Vascular & Vein Center Blog HOW TATTOOS WORK – IS THERE A WAY TO PERMANENTLY ERASE THEM? Did you know that the first tattoos date back to the roots of our civilization, or more precisely, more than 6,000 years ago? That being said, tattoos are an art that has been popular for thousands of years, and will continue to remain such. But just because tattoos have been around for ages, doesn’t mean every one is a good idea. As you may know, a tattoo is essentially a life-long decision. Up until fairly recently (in human history, that is) you were stuck with whatever tattoo you chose – no matter how tacky or misspelled. You could always go the cover-up route and add more ink on top in order to mask the original offender, but thanks to recent technology you now have the choice to remove your unwanted ink altogether. 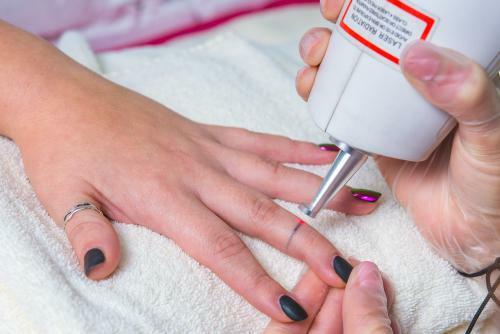 While every tattoo and every person will have different results, the Enlighten picosecond laser makes the process of removing tattoos quicker, safer, and even less painful. Check out the video below to find out exactly how tattoos work, and what exactly makes them permanent. Then contact Dr. Jeffrey Gosin at Shore Vascular & Vein Center to make an appointment for a FREE laser tattoo removal consultation in Cape May County, Atlantic County, Ocean County, Camden County and Cumberland County.